Do League create your tournamente webpage. You will be able to modify any tounament and league options, dates, price, rules, prizes, etc. and of course, you will be able to change the design to fit your brand, use your logo and add your own sponsors. Use the Paypal Payment Gateway and stop worrying about fees. Your players will register online and you will collect the payments directly on your paypal account. Easy an safe. Add any number of categories, unlimited divisions even groups into the divisions. Any tournament you can imagine can be done with Do League tournament manager. It has never been so easy to create the schedule. Our automatic schedule generator will calculate the necessary hours for each round. 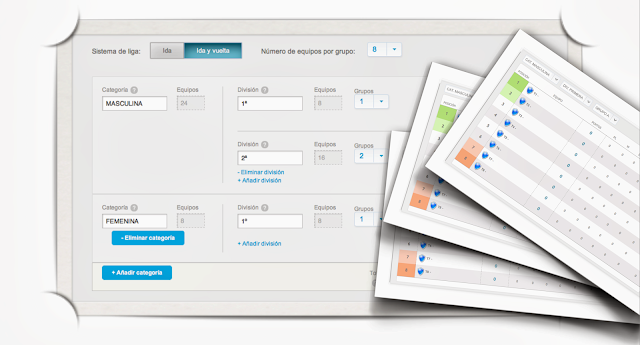 It ill also calculare how many courts you need and it will assign automatically dates and times to all your matches. There are so many options we cannot write them on one post. Stay tuned to the news on social networks and join here to receive the latests news on the tournament manager. Do you like the screens? Tell us what do you think on the comments!